Do you believe in the paranormal? My wife Barbara and I sure didn’t many years ago but all that rapidly changed when my dad died. That event and the many strange things that happened back then set Barb and me on a multi-year quest for understanding. We did extensive research, talked to lots of people, had many incredible experiences and eventually collected so much information that we wrote the book you see on this post. Prentice Hall published it worldwide and Barb and I ended up doing radio talk shows across the U.S. and up into Canada. I think that offering the introduction to our book (below) is the best way to give you a quick sense of what we experienced and why we went public with what happened. After that, I’ll bring you up to date with where things stand now. There are those times in most of our lives when, perhaps for just an instant, we stand back and question the very nature of physical existence. The penetrating event causing our hesitation may be a shocking realization of life’s fragility, the absolute bitterness of injustice, or some strange inexplicable departure from the norms of reality as we know them. Whatever the reason for the momentary lapse of certainty about the world, it has stopped us dead in our tracks, whether anyone else recognized what was happening or not. Usually, we recover from these occurrences by smoothing them over with forgetfulness or by applying a long held standard of belief that seems to give us some sort of answer. Even if we wanted to, it often isn’t very acceptable to poke and prod these events for new or different understandings. Such activity simply makes most people uncomfortable, including ourselves, so why bother? On we move, then, with daily life as it existed before, but with a dim awareness something important may have been abandoned. Seven years ago, our lives fit this pattern perfectly and seven years ago, a multitude of jolting, unusual incidents shocked us into a very conscious decision to pursue our questions, regardless of where they might lead. Since then, we have uncovered a wealth of information that might be called psychic, or spiritual, opening doors of perception for our family we never even knew existed. This book is our attempt to share with you the fullness of our explorations into those unseen portions of life’s essence. We don’t ask for your acceptance of what you are about to read, but we do ask that you look for a part of yourself within our struggle for understanding. I have a very active blog with lots of posts on the paranormal, including guest articles from mediums, hypnotists and ghost hunters. Click here http://dougdillon.com/ to visit my home page and you will find the blog listings to the right. I love to hear from people about their paranormal experiences, so don’t hesitate to contact me. 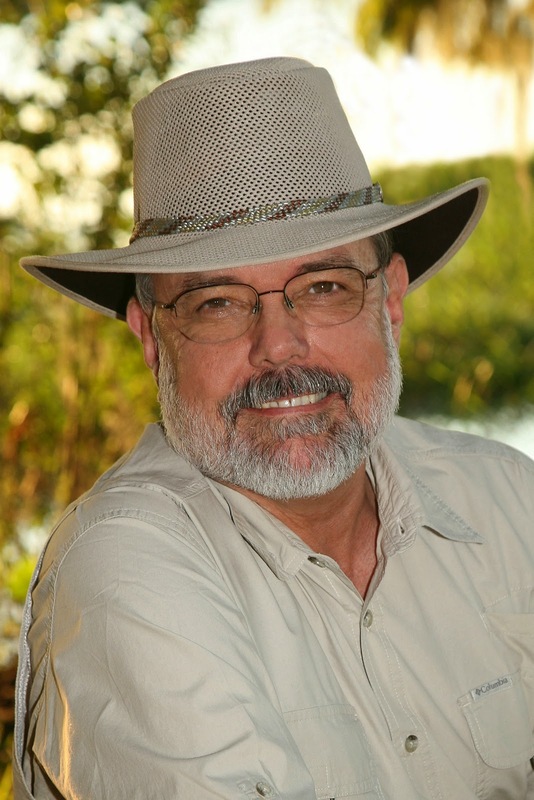 A former award winning educator, Doug writes about things paranormal and historical. 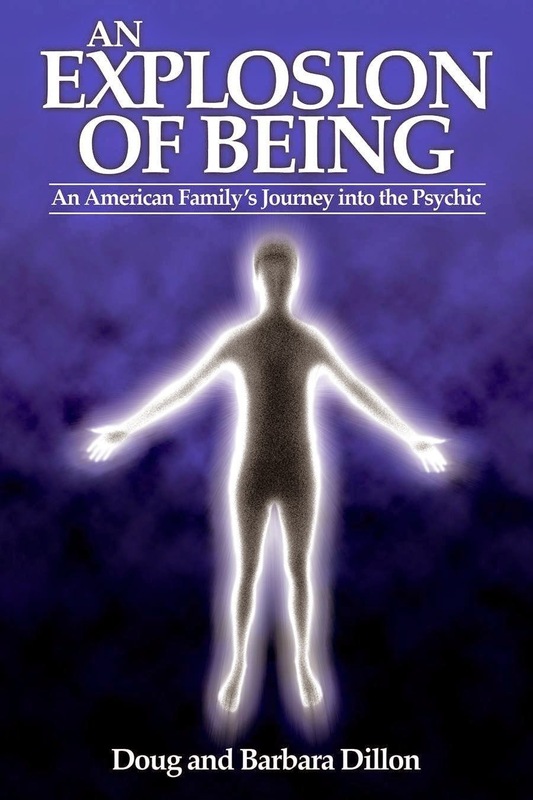 His interest in the paranormal comes from personal experiences as detailed in the nonfiction adult book he and wife wrote titled, An Explosion of Being: An American Family's Journey into the Psychic. 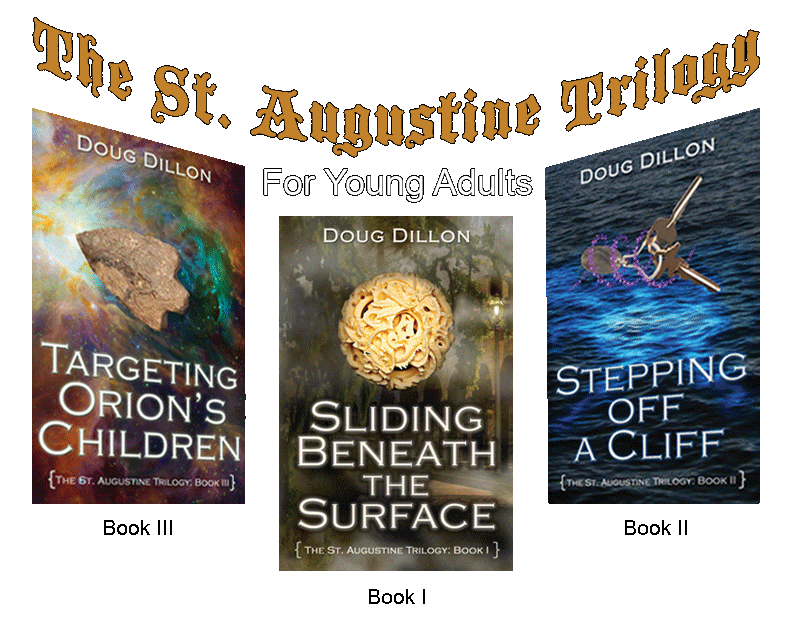 Out of those events and extensive historical research, he then created Sliding Beneath the Surface for young adults, Book I of the St. Augustine Trilogy. Doug set his trilogy in the oldest and most haunted city in the United States, St. Augustine, Florida.